We hope you all had a great holiday. The Bucks road trip was not so great. I guess the short handed Bucks just couldn't keep up. 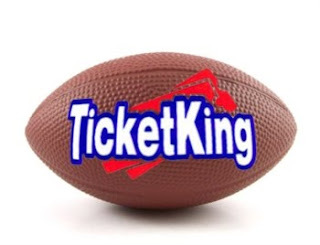 Ticket King Milwaukee is just six blocks from the Bradley Center. Check us out for Milwaukee Bucks VS Chicago Bulls tickets. Tip-Off is Monday at 7pm. We're setting up the holiday decorations this week, and with that comes the office clean up. Since our office is on the corner of Broadway and Mason in downtown Milwaukee, you can see our happy holiday lights from the street.